Contemporary architecture makes use of all the possibilities offered by new-generation materials with the goal of improving living comfort, optimising buildings’ long-term performance and reducing waste. If we add to these aspects of key importance the search for an aesthetic that makes the most of the building itself and its inclusion in the landscape around it, the ventilated façade solution is clearly one of the best responses to the problems of urban development and renewal of our cities. External walls play a key role in the life of buildings, now more than ever, as they are increasingly subject to stress, the combined action of atmospheric agents and air quality. External cladding materials must be compatible with the need for environmental protection and sustainable development. 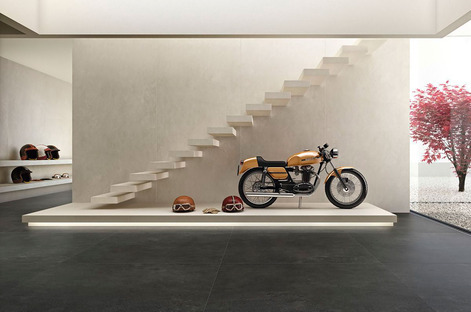 These factors together identify porcelain as the best solution for covering ventilated walls. 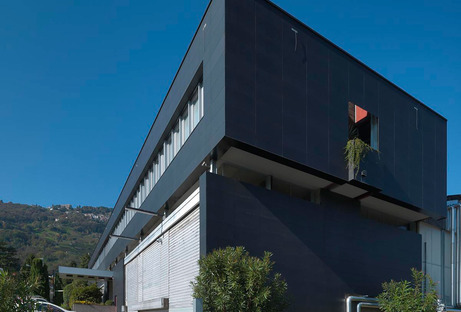 The Ariosteaventilated façade system offers the most complete synthesis currently available of all the properties required of an external wall, ensuring wellness and comfort in buildings of any size, in any location. 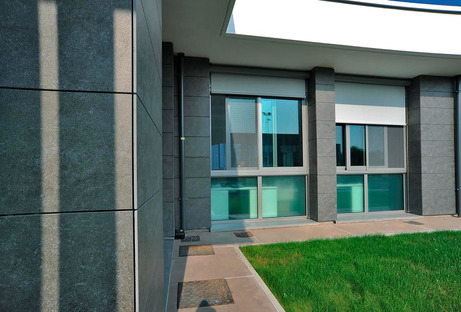 While ventilated façades are most commonly used on tall buildings, or constructions that are isolated or highly exposed, Ariostea ceramic materials can be used on structures of all kinds, whether new or renovated. The range of solutions available includes both traditional solutions and complex construction systems. An integral part of the Iris Ceramica Group since 1988, the Ariostea brand has focused on technological innovation ever since the '60s. Its decades of know-how have made Ariostea a leader in the field of high-tech ceramics with technologies developed, designed and built directly in-house. 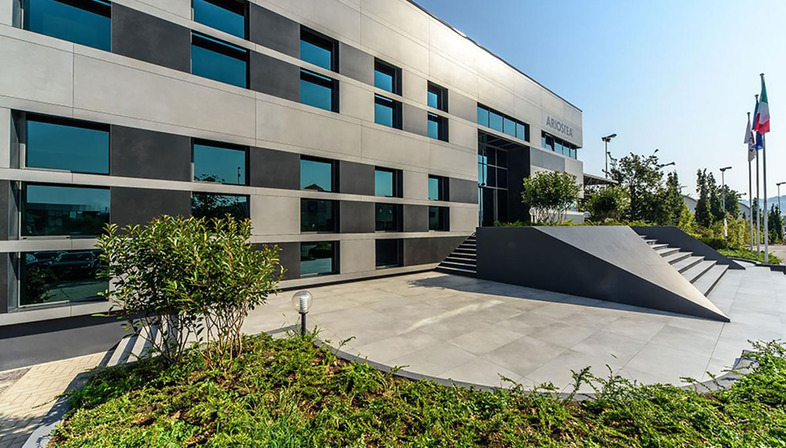 Ariostea’s production of great technical and aesthetic quality translate not only into top-quality ceramic slabs, but above all into research into cutting-edge solutions ideal for the spaces where they are installed, with a view to improving quality of life. The many benefits of the Ariostea ventilated façade system lie in its composition, made up of “overlapping” layers of insulation, a weight-bearing metal frame and covering elements. Anchored to the supporting structure of the building’s walls, the system creates "a ventilated gap which, associated with the action of an insulating layer applied to the wall structure, significantly improves the building’s thermal efficiency". The air gap between the insulation and cladding creates what is known as the “stack effect” (that is, an "updraft of hot air") which in turn triggers significant natural ventilation. This offers important benefits for elimination of heat and moisture at all times of year: surface condensation and the action of rain over the years are the primary cause of degradation of exterior walls. Additional benefits of the Ariostea ventilated façade system are elimination of the risk of cracking and detachment of cladding; continued efficiency of external insulation, which stays dry thanks to ventilation; and easy installation and maintenance. Ariostea has completed numerous ventilated façade projects over the years, the most recent of which include the prestigious Kingston Riverside housing development in the Royal Borough of Kingston upon Thames in London (project by studio Sprunt); the new Sicam Centro building in the town of Castello d’Argile (project by bbpstudio); and the Ariostea headquarters in Castellarano (by Marco Porpora Architetti). The range of effects and colours available in the Ariostea collections guarantees much greater aesthetic value than conventional walls. 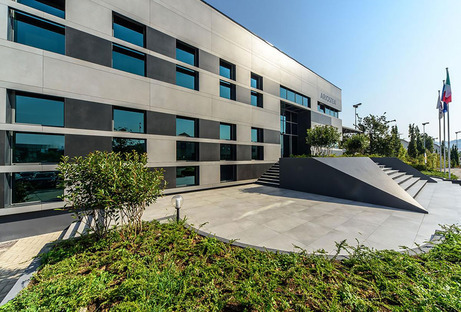 The projects we have mentioned use a variety of different effects, ranging from porcelain maxi-slabs from the Legni High-Tech collection to Pietre Naturali High-Tech and varieties of Icementi. These are aesthetically different maxi-slabs ranging from textured to neutral materials and the warm look of wood, all sharing the same innovative design of high-tech ceramic expressing all the sensations and qualities of the materials that inspire them, even on the outside of the building they cover.